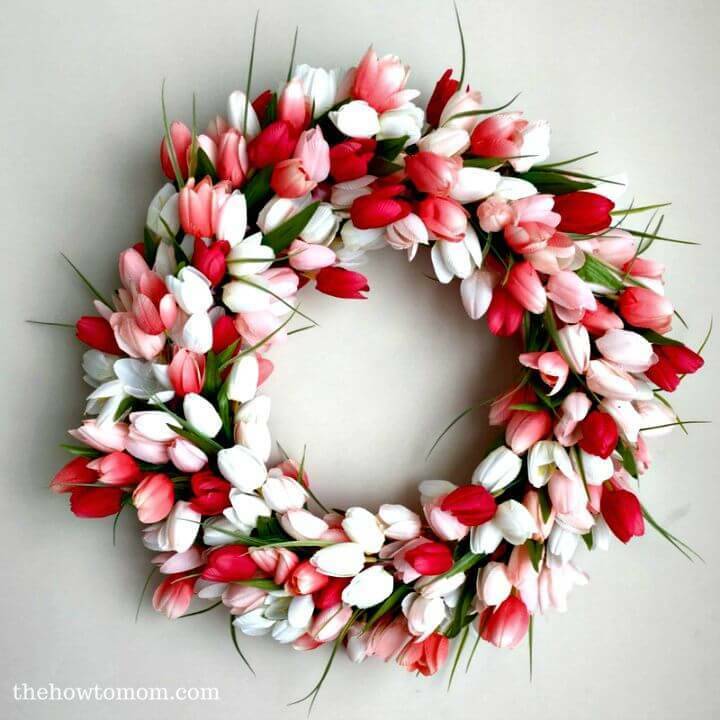 After the spring, the season when we celebrate colors, the summer starts that are also a fun season when we enjoy the outdoor barbecue parties, the poolside feasting, and various outdoor fun activities! 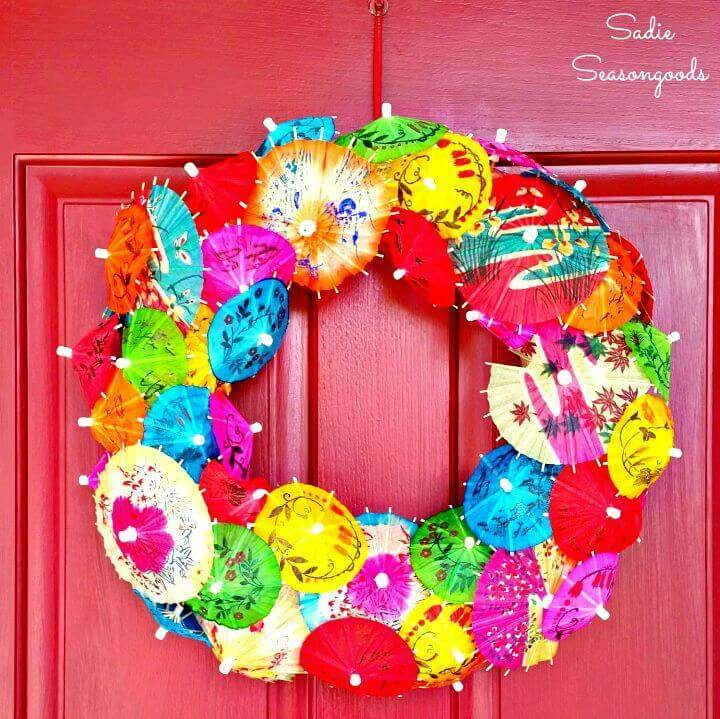 So, you can also decorate your homes to pay some attributes to hottest season of the year, the summers! 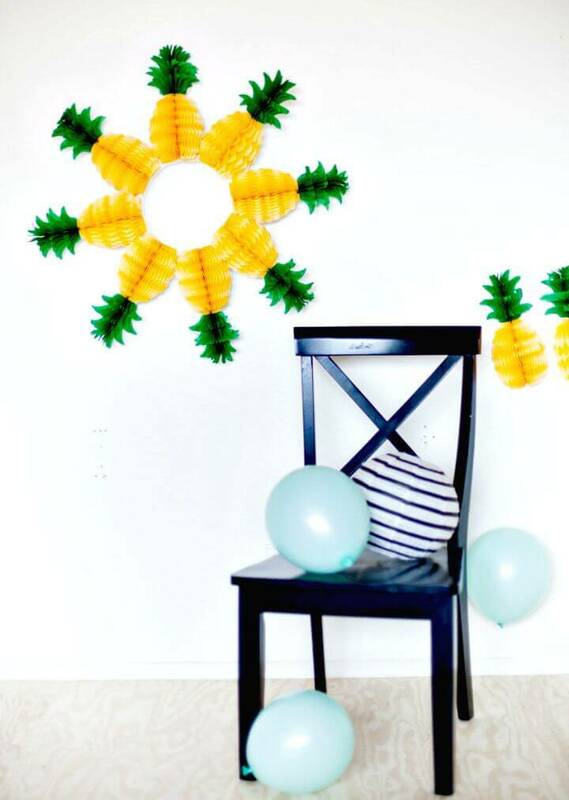 Along with increasing the water fun, the outdoor visits and the beach picnics, also raise the decors of your home just by making some DIY Home Decor! 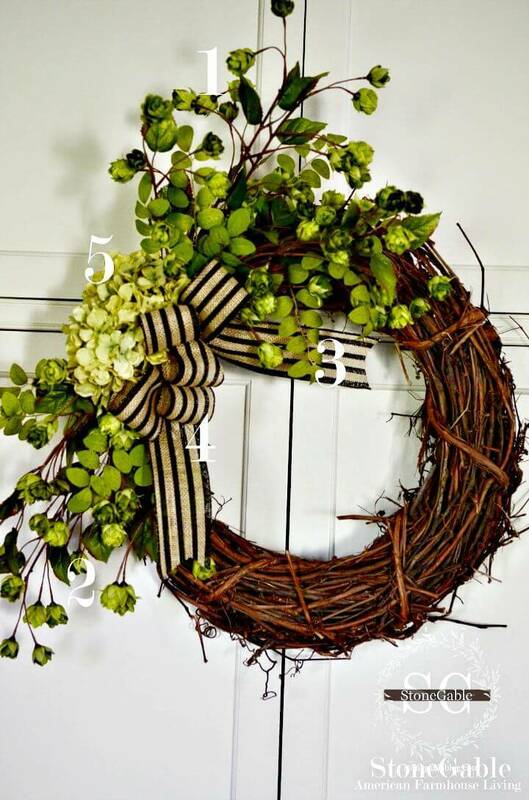 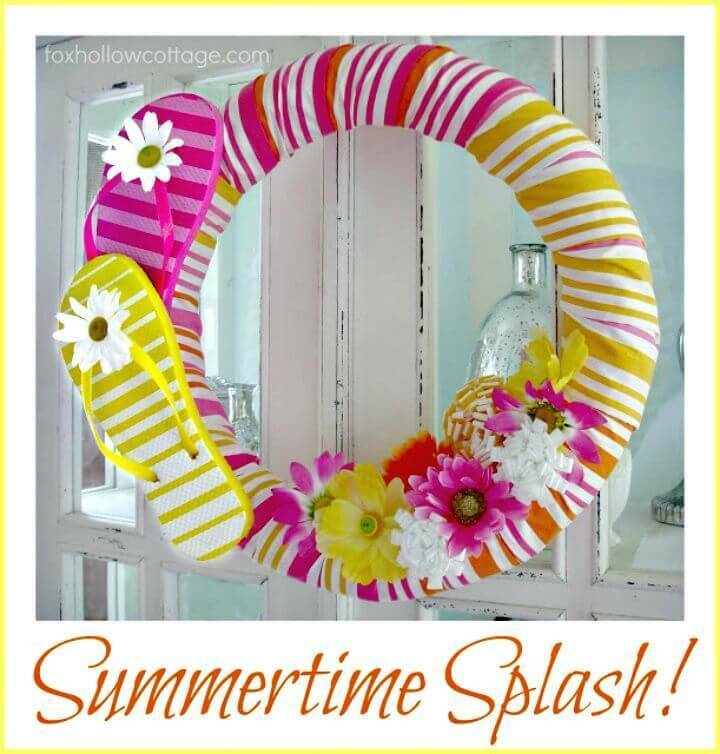 Nothing would work great but the wreaths while intending to give a warm welcome to the summers! 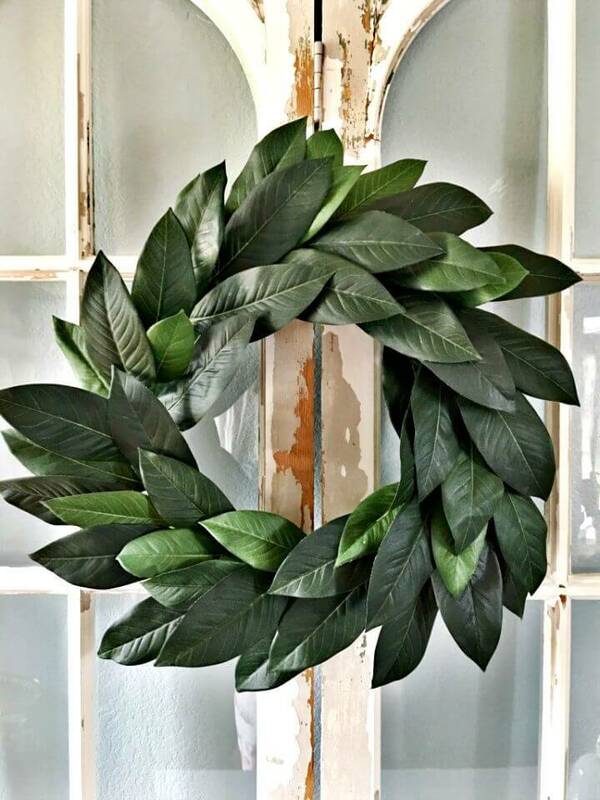 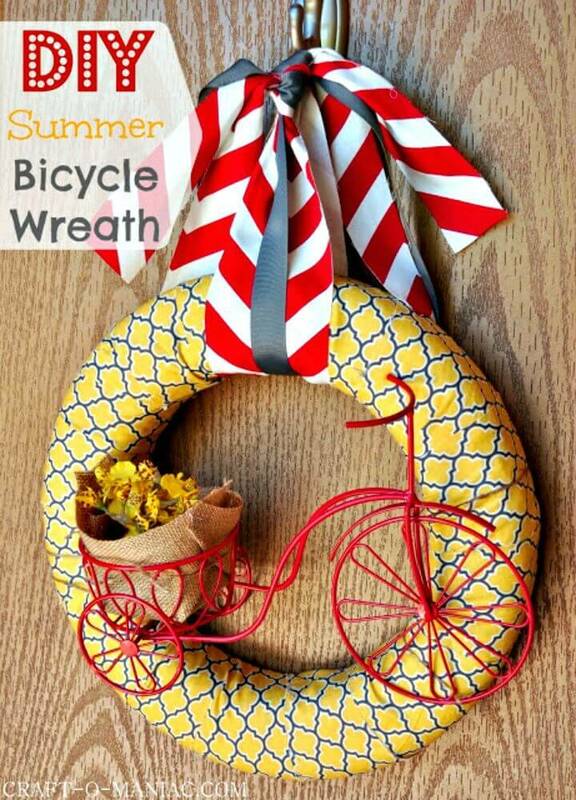 So, time to make your own beautiful summer wreaths at home, before you starting making the wreath, we would like you to boost your creativity by sharing some amazing inspirations! 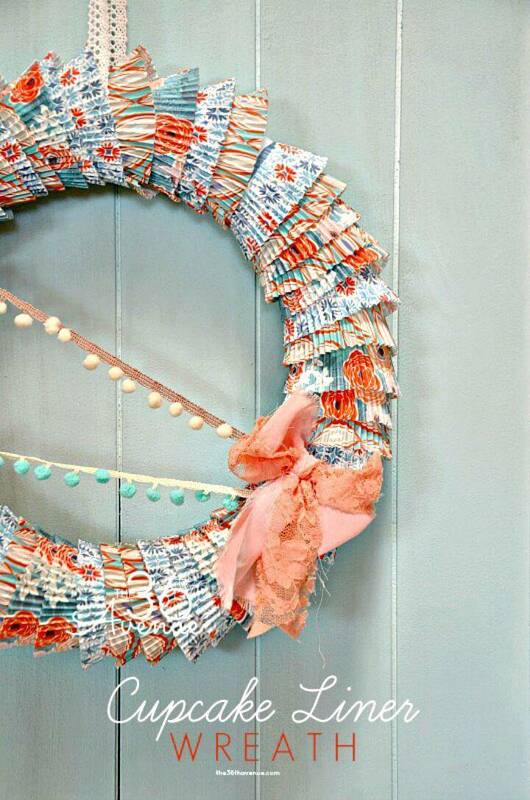 Just have a look at these 25 DIY summer wreath ideas that are all great and would definitely go outstanding on your front door! 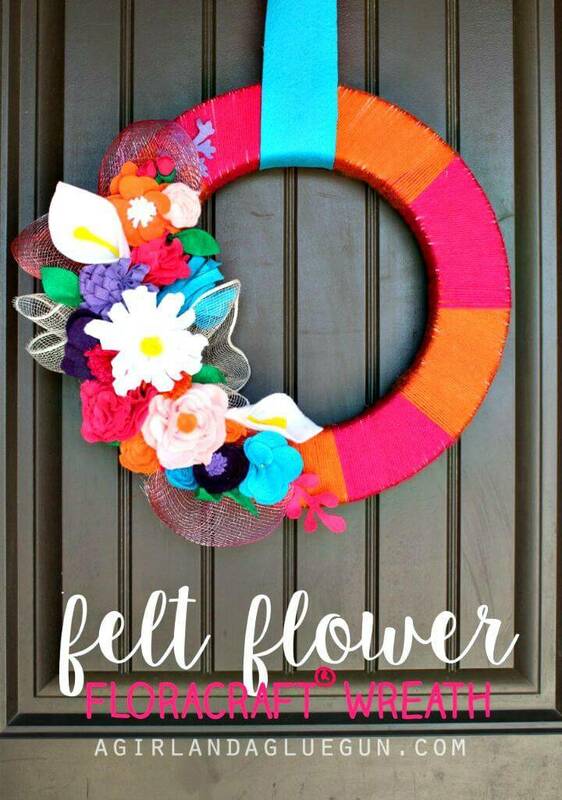 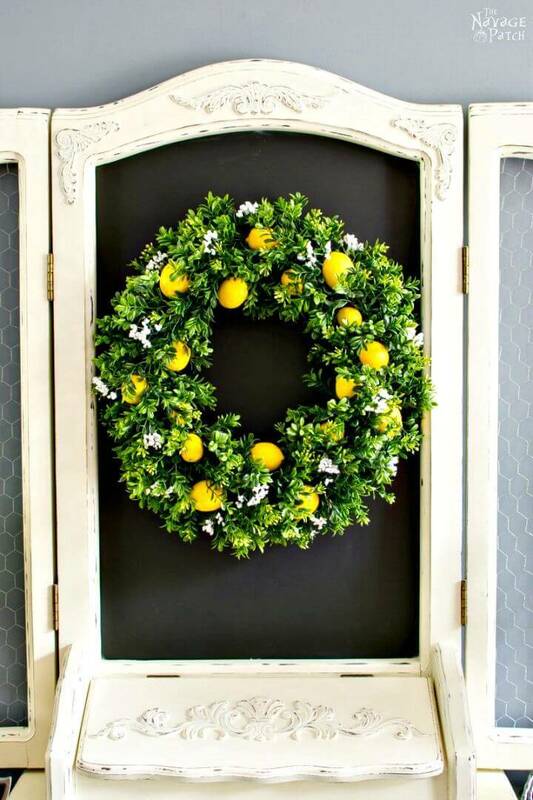 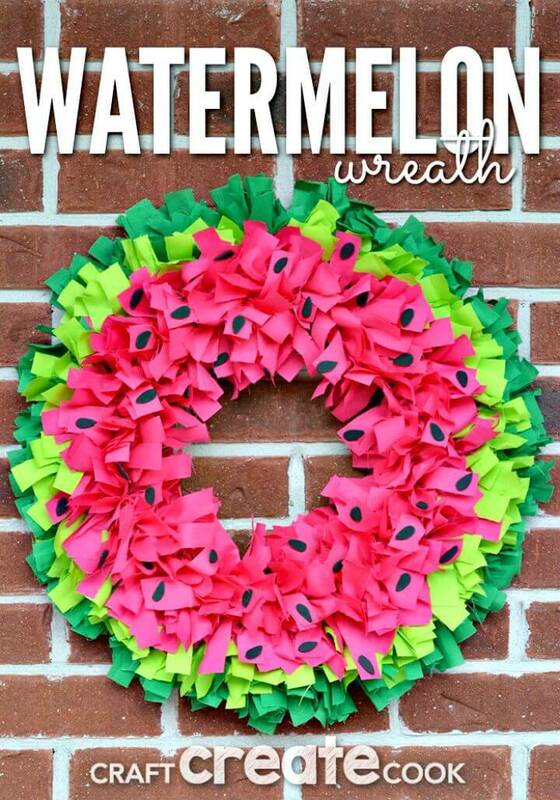 These superb handmade DIY wreaths would be a big fun to make and will no cost your big! 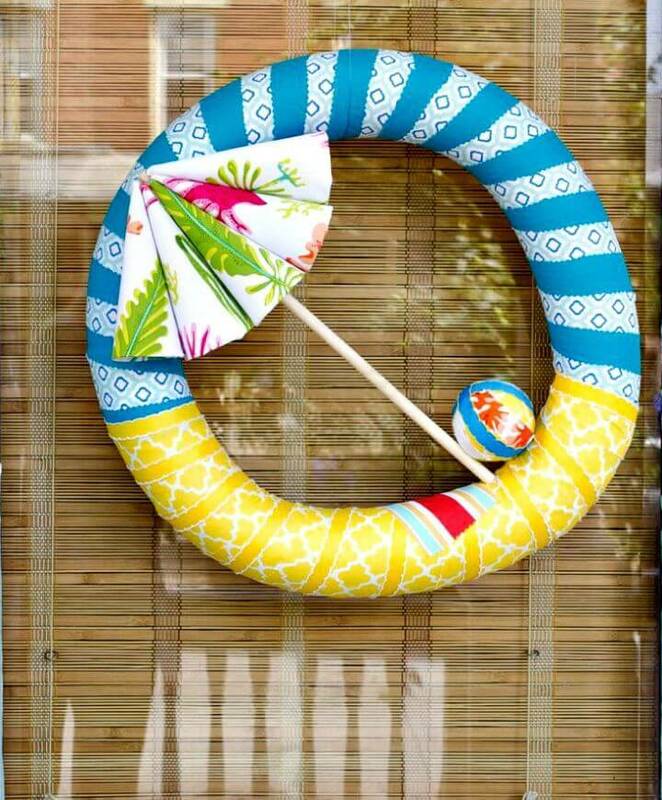 Celebrate the summer beach fun by hanging the beach special wreaths on your front door just like the given beach umbrella wreath! 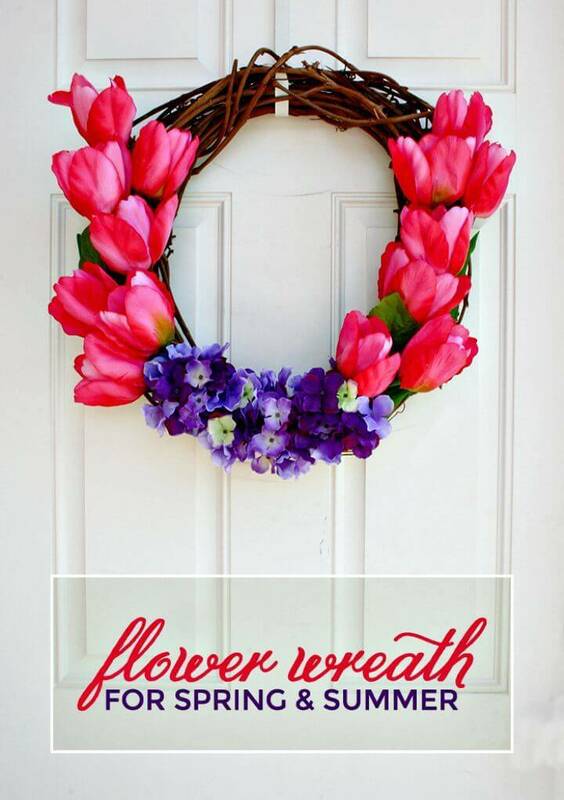 Grab a grapevine DIY summer wreath and adorn it up with tulips and hydrangeas an make outstanding floral wreaths for summers! 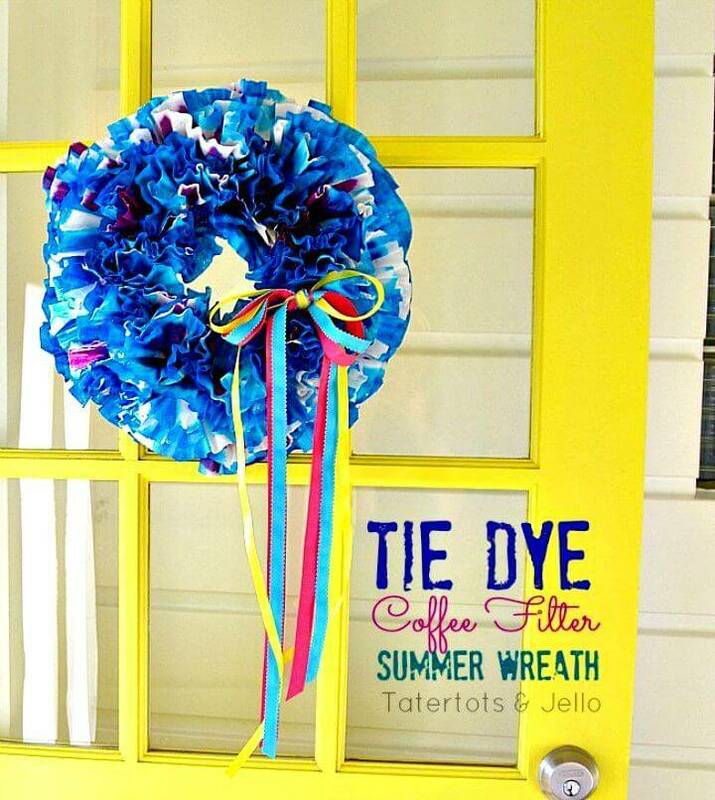 Dye the coffee filters and then tie them together to make fantastic tie-dye wreaths for summers and also make a nautical rope summer wreath that may come with custom charms and decors! 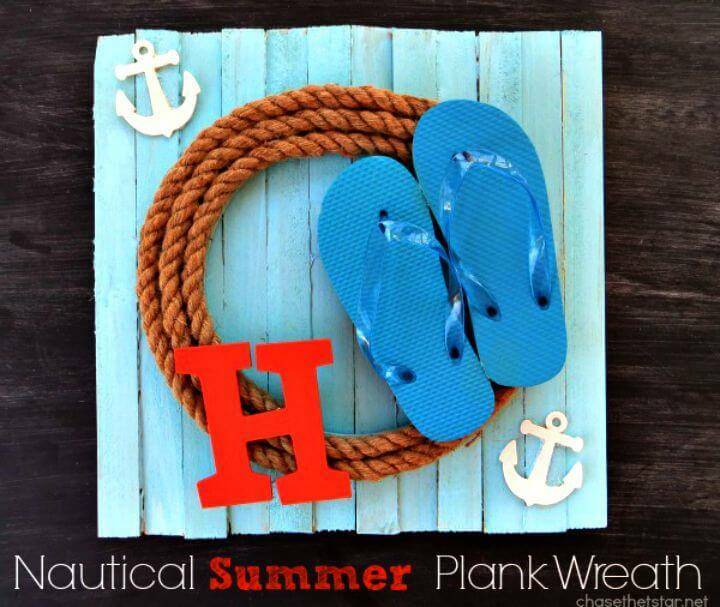 Have a look at the given sample that comes with slippers fixed to one side and is also having an aqua painted wooden background that has been got dignified by adding some linger decors! 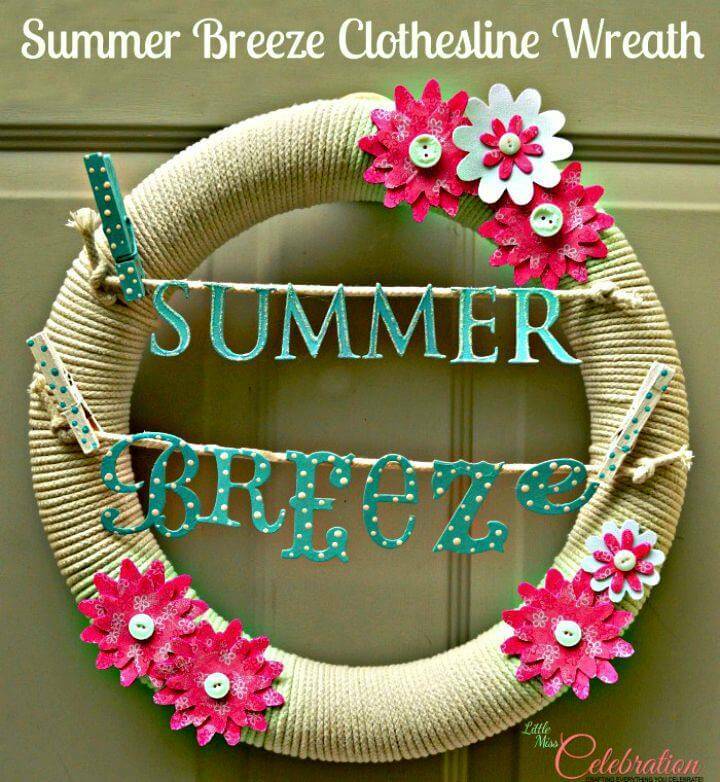 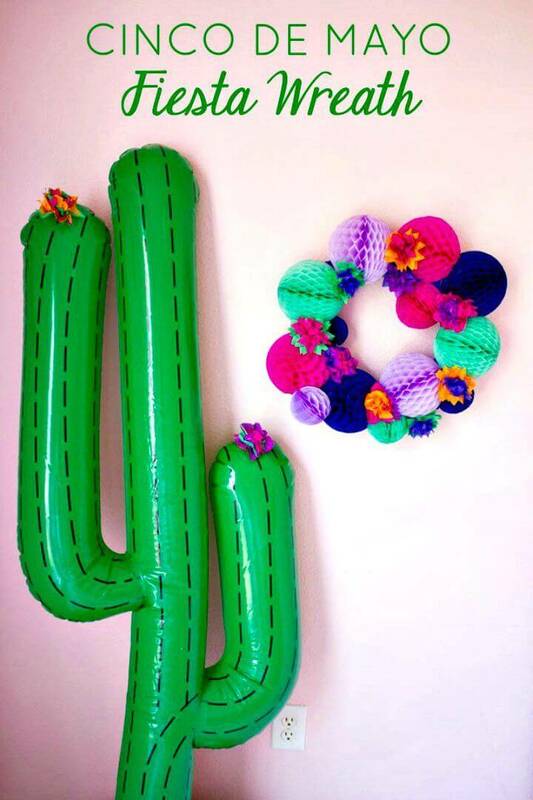 Wrap the Styrofoam wreaths in rope and then install the clothesline in front using clothespin and twine and make outstanding summer wreaths get inspired of the given sample that has been adorned with custom cardboard letters and also with faux colorful flowers! 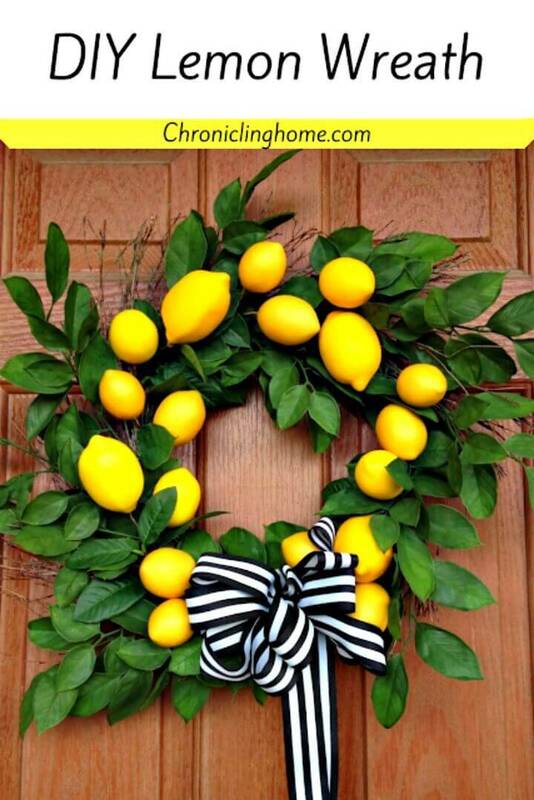 Make also the special wreaths inspired by summer fruits and food items, a very interesting example here is the given lemon wreath that will definitely go enticing to your front door! 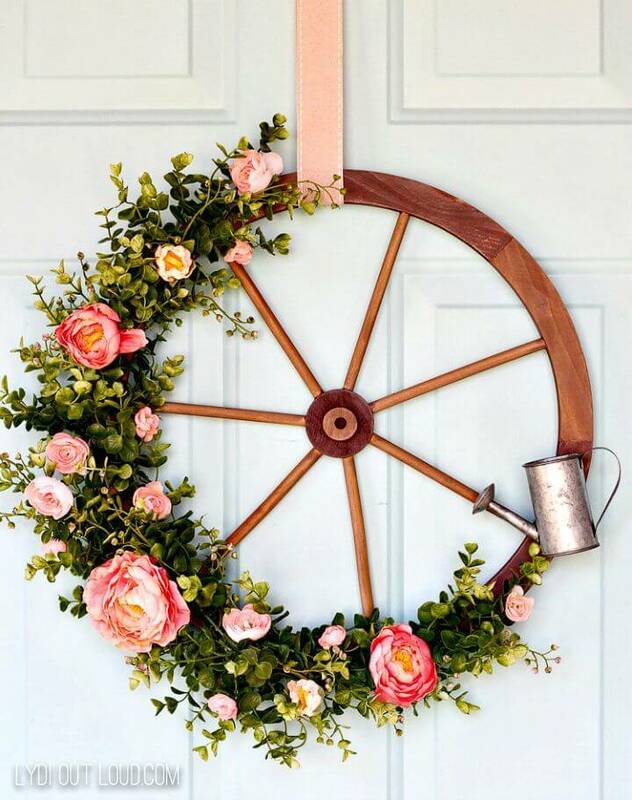 Repurpose also the metal wheels like wagon wheels or bicycle wheels to make adorable summer front door wreaths, Check out here a lovely sample that has been decorated with flowers and also with a garden watering tool! 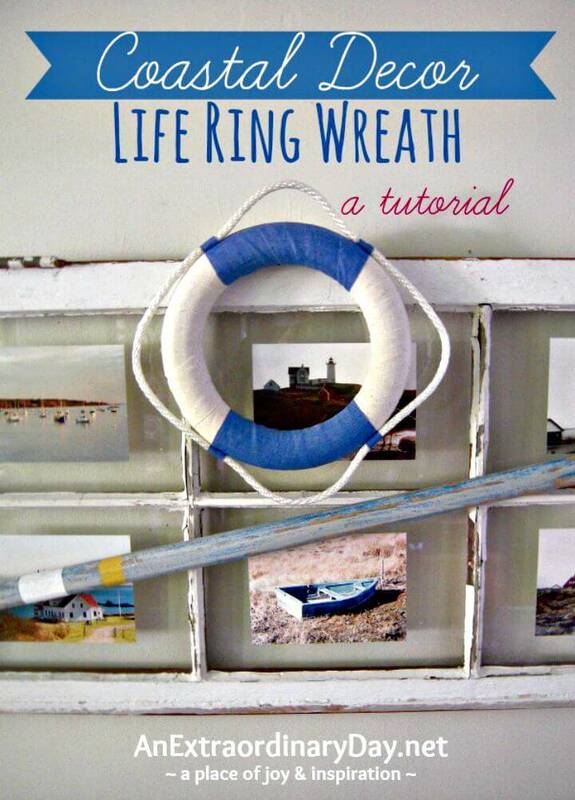 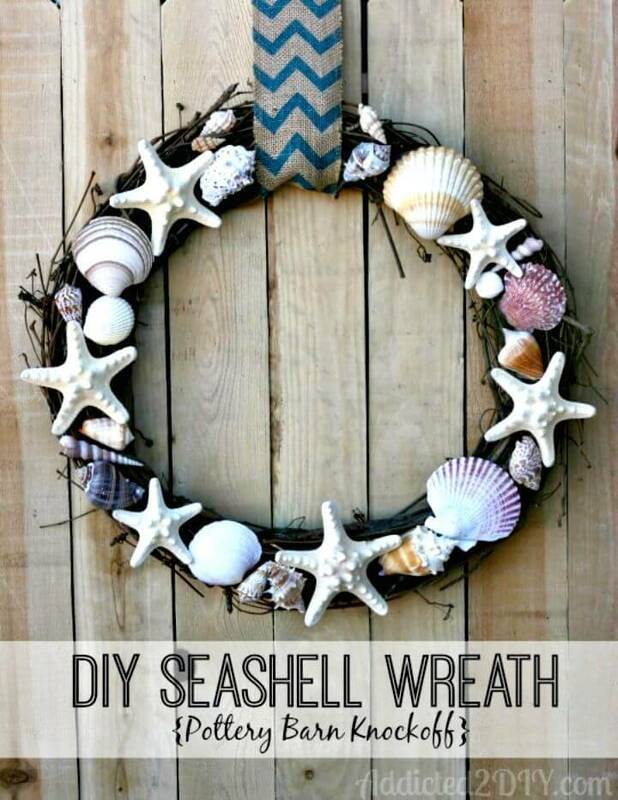 Make also the nautical life ring wreaths that would be a big delight to view hanging on your front door this summer! 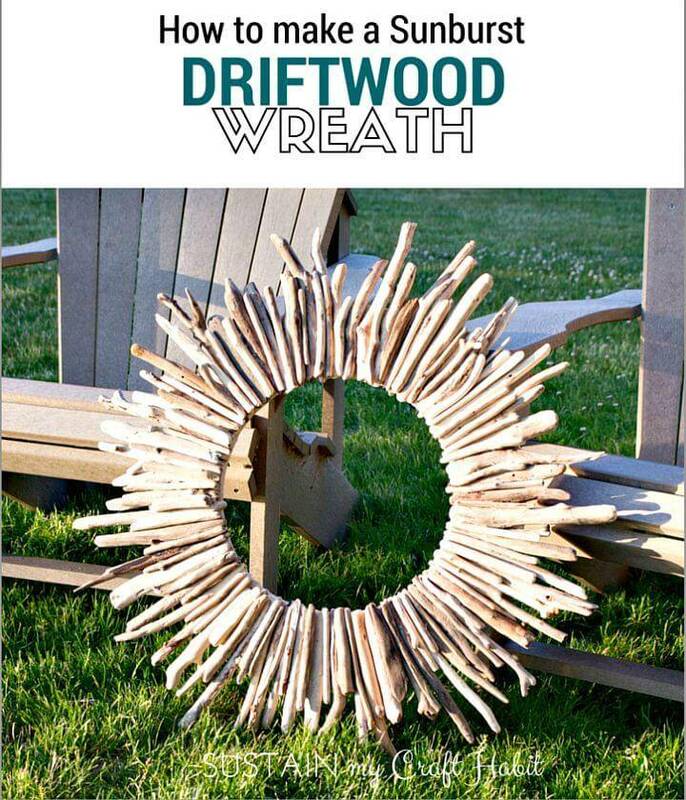 Moreover, make the floating flower wreaths, the monogram flower wreaths and also make the driftwood summer wreaths that will hang like a charm on your front door! 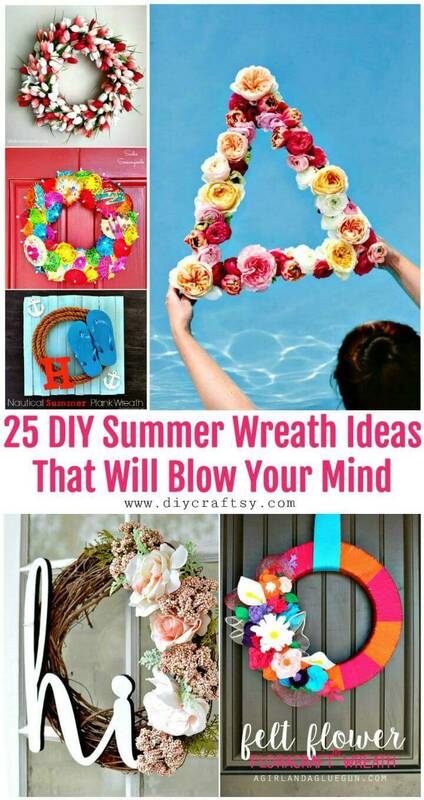 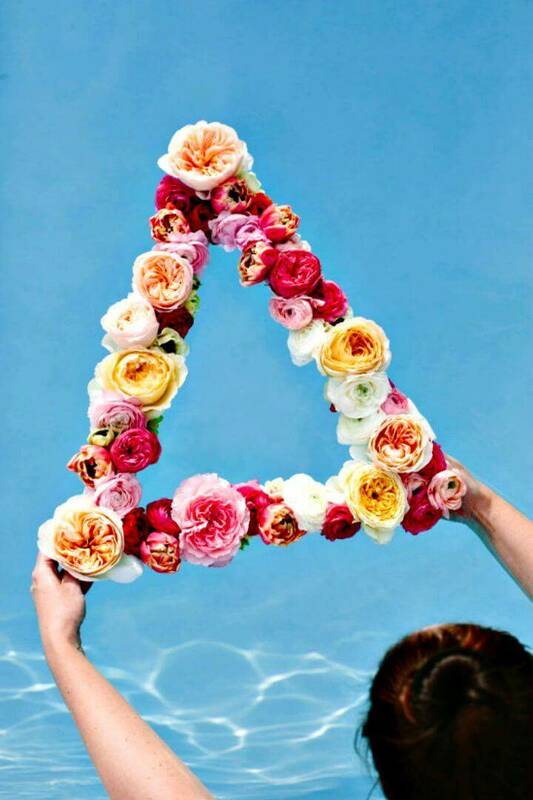 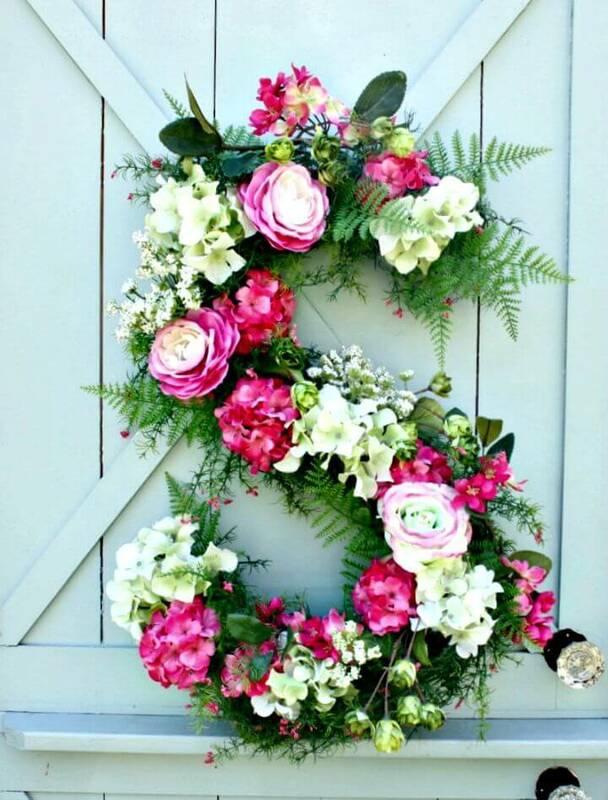 Have a look at more DIY summer wreath designs give below and get inspired! 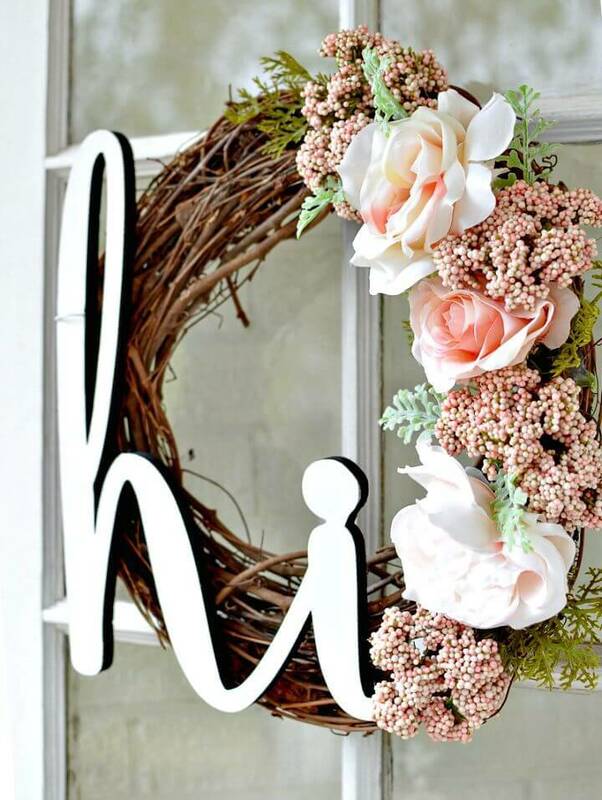 Clone every of your favorite wreath from the list by hitting the attached link that will take you to the complete visual guides, tutorial, and instructions!